Are slots coming to Maryland? The Governor hopes so, because he needs to raise some money to cover the state's budget deficit, and the less he has to raise taxes, the happier we all are. Slots have been a politically divisive issue for years, though, and bringing them here is far from a done deal, yet. Marc has been covering slots and gambling, discussing how, when, if, why, and where they might find a home in Maryland as long as he's been on the air, and today the debate continues. We're joined by Ron Wineholt from the Maryland Chamber of Commerce, Aaron Meisner from Stop Slots Maryland, and James Karmel, a history professor from Harford Community College with a new book on the way called Gambling on the American Dream: Atlantic City and the Casino Era. Are slots coming to Maryland? The Governor hopes so, because he needs to raise some money to cover the state’s budget deficit, and the less he has to raise taxes, the happier we all are. Slots have been a politically divisive issue for years, though, and bringing them here is far from a done deal, yet. Marc has been covering slots and gambling, discussing how, when, if, why, and where they might find a home in Maryland as long as he’s been on the air, and today the debate continues. We’re joined by Ron Wineholt from the Maryland Chamber of Commerce, Aaron Meisner from Stop Slots Maryland, and James Karmel, a history professor from Harford Community College with a new book on the way called Gambling on the American Dream: Atlantic City and the Casino Era. I hope I can listen to today’s show. It should be particularly interesting to hear the Md Chamber of Commerce position on slots and taxes. FYI, I’ve started a new blog, Maryland On My Mind, and have written several posts on the slots issue. I plan to comment frequently on slots and taxes. I have been opposed to balancing the budget on gambling. I’m not morally opposed to gambling because I don’t do it–I can’t see throwing my hard-earned money away. But, the fact is, MD needs every dime it can get and with legalized gambling in WV, DE, NJ and now coming in PA, we’re going to lose revenues to neighboring states if we don’t have it. and that’s a sad state of affairs, really. The issue is not ‘other states have gambling, we don’t, therefore we’re losing revenue’. The issue is how slots are coming to Maryland (with no community input), what they will do to the communities where they are located (more crime, worse streets, even worse traffic) and the broader question – who’s really reaping the profits (it’s not the state, it’s the private corporation, in this instance, Magna). Forget about whether you favor gambling or not – that’s a sidebar issue and, in my opinion, not germaine to the policy question. Slots will impact Maryland in profoundly detrimental ways most people don’t understand and aren’t being told. Once slots are here, expect casinos to follow. You know we’re in trouble when we’re told how many great jobs will come from what is essentially a giveaway to a private corporation and a mismanaged horse racing industry. Don’t believe it – those jobs will be low-wage jobs for the most part. I don’t live in Las Vegas or Atlantic City, I live in Baltimore. And don’t we expect our elected officials to get down to the hard work of balancing the budget without foisting what is at best a questionable revenue stream on us? 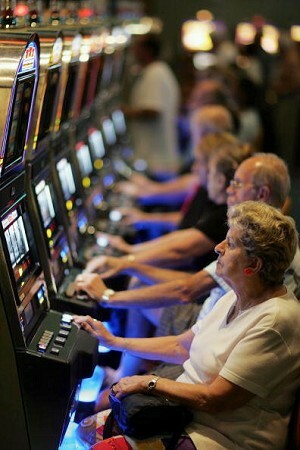 Many states with slots are realizing that an awful lot of that money is not coming to them. How abou a state-wide referendum – and for all those who are in favor, the next question is – do you want slots in your neighborhood?